Try a neti pot or nasal irrigation for your sinus congestion before you go to a doctor. Therefore I have been recommending nasal irrigation to all my sinus congested patients with Acupuncture treatment for allergic rhinitis and other sinus related conditions. This is simple, no side-effect and inexpensive but very effective and even though you are having the medical treatment for this, this is something you can do at home by yourself. A typical method utilizes an isotonic saline solution. This roughly matches the concentration of salt found in the blood and natural tears. A warm saline solution is prepared to a 0.9% salinity (9g of salt (about 1 ½ teaspoons) per liter of water). Non-iodized salt is better. The water should feel slightly warm to the touch. It is important to stir the mixture thoroughly in order to dissolve all the salt. Recent research has indicated that a hypertonic saline solution may be effective. This is a solution in which the concentration of salt is higher than that found in the blood. A typical concentration used in these studies was 3% salt. At this higher concentration of salt, a buffering agent is usually added to the solution to make it more comfortable. If a home-made solution is used, the quality of the salt is important. Some practitioners recommend using Kosher salt, which has no added iodine. Fine cooking salt often contains anticaking agents that may cause irritation. Coarse sea salt is generally a good choice. Specially prepared non-iodized nasal wash salts are also available commercially. There are three stages of jala neti, however I introduce only the first 2 stages according to its difficulty. And also many people only practice stage one of Jala neti. Each stage should eventually use about ¼ liter (8 US fluid ounces) per nostril though a person may have to work up to this. Lean over a sink and tilt your head to the side and slightly down toward the sink. Ideally, the chin and the forehead should be level with each other. Place the spout of the neti pot in the upper nostril creating a complete seal and allow the saline solution to flow into that nostril, through the nasal passages, and out the lower nostril. Continue to breathe deeply through the mouth. This allows the water to flow from one nostril to another without dripping into the mouth. When the pot is empty, refill it and repeat on the other side. Beginners may prefer to use only half a pot on each side. If the water seems to be blocking, switching back and forth several times may be needed. If you will be doing only Stage One, follow the instructions under “After Stages are completed” to clear the nasal passages of remaining water. Since stage two washes the deepest parts of the nasal passage, it should only be performed after a round of stage one. If infections or large obstructions are present in the outer nasal cavity and not cleared by stage one, they could be driven deeper into the nasal cavity. Beginners should use stage one only for the first few weeks to make sure they are comfortable with the process and to make sure that major blockages are clear. Stage two involves lightly sniffing the water through each nostril and spitting it out the mouth. It is important not to swallow the water which is why personal guidance is best when learning to do this. Though this stage is more difficult, it has a much deeper effect. 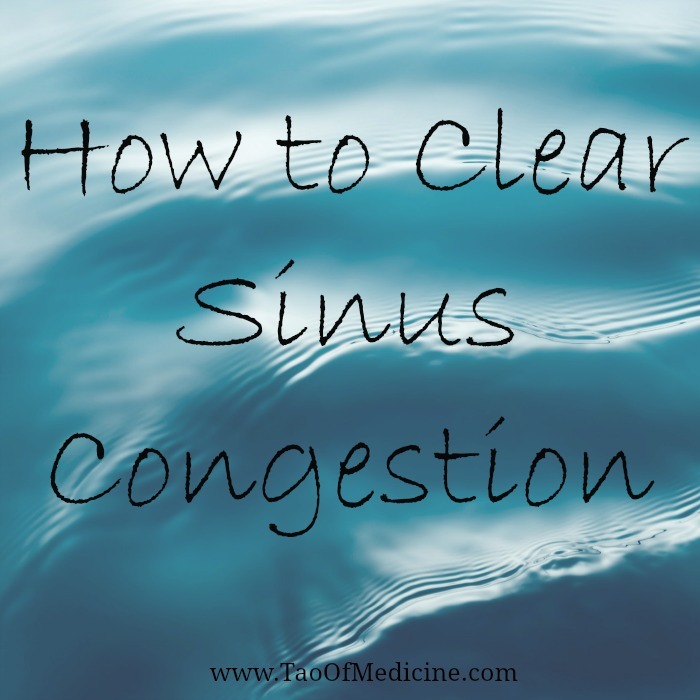 People with chronic sinus infections may not see major improvement until this method is used. Once jala neti has been performed, it is important to eliminate any remaining water from the nose. The techniques may vary but it usually involves bending over from the waist to let the remaining saline solution drain out, breathing quick breaths out the nose in quick repetition, and gently blowing the nose. It is important not to close off one nostril or squeeze the nose in any way as this may cause water to be forced into areas that do not dry easily. A tissue may be used but is just held lightly surrounding the nose. Some people may have hardened blockages. These may be eliminated gradually over several attempts but may be due to a deviated septum in which case a minor surgery may be needed. Some mild blockages may also be removed with sutra neti when Jala neti is unsuccessful. Burning or irritating the nasal lining. This can feel similar to irritation one may experience from the chlorine in a swimming pool. This is usually due to water being at the wrong temperature and/or salinity, but can also be due to the salt containing additive. If the salinity is correct and the water is at body temperature, try using a different type of salt. A person may feel sharp pains due to pressure on the sinuses. They should stop immediately and consult a doctor. If a person experiences ear discomfort when performing Jala Neti, they should be sure to blow their nose more gently after the wash. If the problem persists, the openings of their Eustachian tubes may be particularly wide and they may need to discontinue neti pot use. Nasal irrigation is a personal hygiene practice which involves flooding the nasal cavity with warm saline solution. The goal of nasal irrigation is to clear out excess mucus and particulates and moisturize the nasal cavity. The practice has been subjected to clinical testing and has been found to be safe and beneficial, with no apparent side effects. Another quick and simple way of Nasal Irrigation. The temperature of the water used for the nasal wash should be body temperature or very slightly warmer. Avoid very hot or very cold water. The correct amount of Aromatic Salt neti pot salt is: ½ rounded teaspoon of No-iodine Salt to 8 ounces of warm water. The instructions for the amount of salt are guidelines. Adjust to find the amount that is perfect for you. Some variable factors are: the mineral content of your water, the size of your neti pot, and your personal preference. With your neti pot filled with Salt solution and standing over a basin or sink, tilt your head gently so that one nostril moves downward toward the basin and the other nostril moves up toward the ceiling. Insert the spout of the neti pot into the upper nostril. Gently pour the saline solution into the upper nostril and let it flow out through the lower nostril. When the pot is empty, Blow out through both nostrils into the sink or into a tissue or handkerchief. Be sure not to close either nostril as you blow out. Repeat on the other side. When you have finished rinsing both sides, you may want to bend all the way forward and turn your head from side to side to release any Aromatic Salt solution that may remain in the nasal passages. Pick either one at least for a week, if your symptom is mild, once a day in the morning, if mild to severe, twice a day morning and evening and see how you feel. If you don’t like a neti pot, you can even do this irrigation simply by using your hands. Have the salt water in your palm and sniff it through the nostril and blow it through the other side of a nostril and the same way for the the other nostril. * Tao of Medicine does not advertise any product or services related to this video instruction, we only post this for the educational purpose.